The Music Managers Forum (MMF) and Featured Artists Coalition (FAC) are delighted to reveal the final recipients for the 2018 Artist & Manager Awards (A&MAs), with Kano to receive the Pioneer Award and Solar Management’s Carol Crabtree to pick up the Award for Writer/Producer Manager. The A&MAs was established to celebrate achievements in the UK’s artist and management community. This year’s ceremony will take place at a new venue - the Bloomsbury Big Top, 93 Guildford St, WC1N 1DN - on the evening of Wednesday November 14th. The final remaining tickets can be booked here. 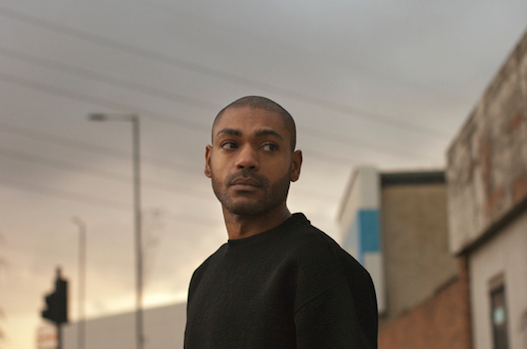 As one of grime’s founding figures, Kano has been at the forefront of UK musical culture for an incredible 15 years. Without compromise, he has helped take a ferociously independent genre to a wider audience. From early breakthrough tracks like Boys Love Girls and P’s & Q’sthrough to the 2016 Mercury-nominated (and Mobo-winning) “Made In The Manor” album, Kano has consistently pushed his music forward - remaining an authentic and hugely influential voice, while collaborating with the likes of Damon Albarn, Chase & Status, Fraser T. Smith and Craig David, and even breaking into film and TV work. Previous recipients of the Pioneer Award include Amanda Palmer, Ruth Daniel, Imogen Heap and Giggs, Michael ‘Buck’ Maris & Trenton Harrison-Lewis. Carol Crabtree, founder of Solar Management, will also be awarded next Wednesday for Writer/Producer Manager. The award is sponsored by Songtrust, the royalty collection technology platform for music business professionals. A hugely popular recipient and long-time MMF member, Carol established Solar 25 years ago and still represents a pre-eminent roster of producers and writers, including those who have contributed to some of our era’s most important recordings, such as Nigel Godrich, Dan Grech-Marguerat David Holmes, David Wrench, Kieran Hebden, Matthew Herbert, Sally Herbert, Leo Abrahams, Seton Daunt and Henry Binns. Overseeing a twelve-strong team, Carol has dedicated the previous six years to volunteering her time to the MMF board, mentoring younger managers, and lending her vast industry knowledge to the development of the organisation and its campaigns. “Carol Crabtree is an absolute legend. For almost three decades, she has represented some of the world’s most influential producers and writers. That alone would be testament to her immense capabilities and personality, but as a previous MMF board member and Custodian she has also exhibited a boundless generosity to help support and mentor a new generation. We are delighted to help shine a light on her many achievements." Previous recipients of the Writer/Producer Manager Award include Jackie Davidson, Zita McQ and Jill Hollywood. Winners of the Breakthrough Artist and Breakthrough Manager awards will be announced on the night, as will recipient of the Unsung Hero Award. Small Green Shoots have been named as the A&MAs official charity partner and will benefit from proceeds of a silent auction.